Posted November 2, 2018 by Astrid Mallet & filed under Clients, Travel. Our Account Director Pippa Roberts is heading to Sri Lanka for New Year with her friend and jumped at the chance to delve in to Jack’s expert knowledge. Pippa and her friend had been researching in to where to go for a two-week holiday around the New Year – wanting to follow the fashion pack who tend to escape to sunnier climes at the end of the year, initial locations discussed were Mexico (Pippa went there 18 months ago and fell in love with the country), Costa Rica, Colombia, Bolivia, Nicaragua, Belize, Sri Lanka and Zanzibar. Pippa: One factor that we quickly realised was that flight costs seem to increase over the New Year period – having researched Colombia for about a year, the prices seemed to dramatically rise. I’m lucky enough to own a lovely amount of BA Avios, but tracking down air mile flights took hours. Is it normal for airlines to increase flight costs for the beginning of the year? Jack: Annoying isn’t it! Sadly, yes this is normal. Airlines operate a bit like hotels – with peak and off peak fares – New Year is always considered super peak and everyone should always expect to pay more around this time. It’s a bit of a double whammy as most deals/offers are suspended during this time too (also true for hotels). It’s a famously expensive time to go away. I always say book 12+ months in advance if you want to go away over New Year! P: Our spec was that we needed sun and sea, adventure, culture, activities and wildlife (my personal obsession with dolphins, whales, giraffes, elephants and even lizards shows no bounds). We seem to have settled on Sri Lanka – please tell me that we have made the right choice? J: Never fear, Pippa, Sri Lanka is wonderful choice. You can expect plenty of sun at this time of year, the sea is calmer and Sri Lanka has an embarrassing amount of cultural riches and exciting activities. I’m glad you mentioned wildlife as many people don’t realise that Sri Lanka is one of the few places outside of Africa where you can go on safari. The country is home to elephants, leopards, water buffalo and all sorts of reptiles. I highly recommend Udawalwe National Park for at least one night, but preferably two or three. Marine life is also abundant – a boat trip off the southern coast is a must for anyone hoping to catch a glimpse of humpback and sperm whales and dolphins too. P: Now that we are on to planning where to visit, what are your top tips for the country? My specifications are that ideally I would want to see the wildlife as well as attempting to remember how to surf. My friend’s specifications are that she needs to experience the culture and would like to go hiking. Is this possible in two weeks without exhausting ourselves by travelling around too much? J: Absolutely possible. One of the best things about Sri Lanka is the short distances between areas of interest. It’s not a big island but it packs in an astonishing amount of variety. For temples and culture you have to visit Kandy and for rural Sri Lanka head for the cultural triangle (around Dambulla). 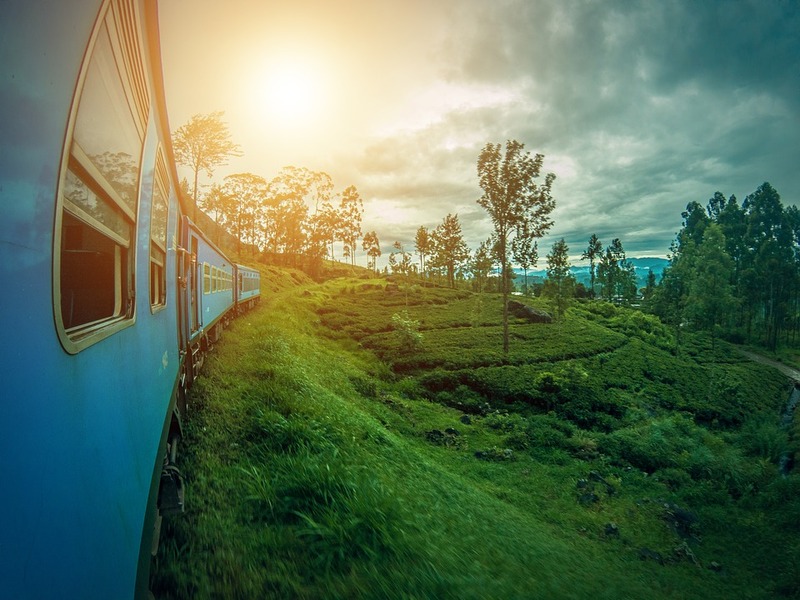 I’d then recommend taking the scenic train through Sri Lanka’s interior – be sure to visit the waterfalls at Talawakelle and the Tea Plantations around Nuwara Eliya. 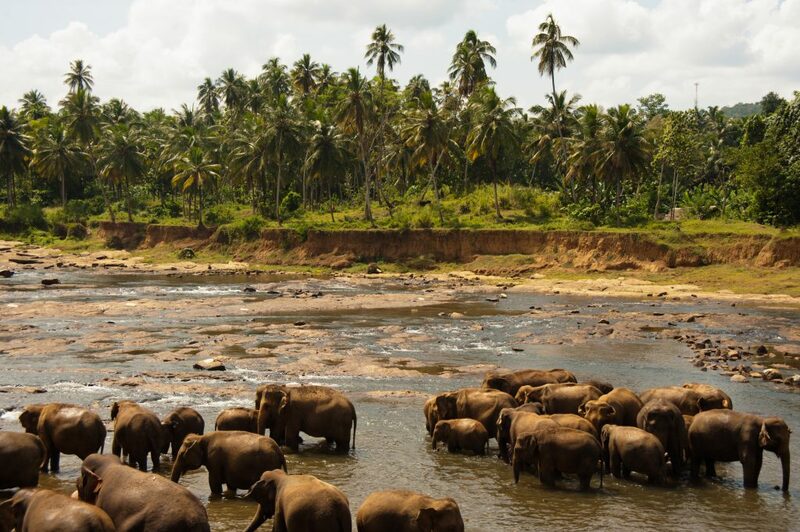 Nearby you’ll be able to go on safari at Udawalawe before ending your trip on the south coast near Galle for some serious relaxation and to revel in the marine life and surf. 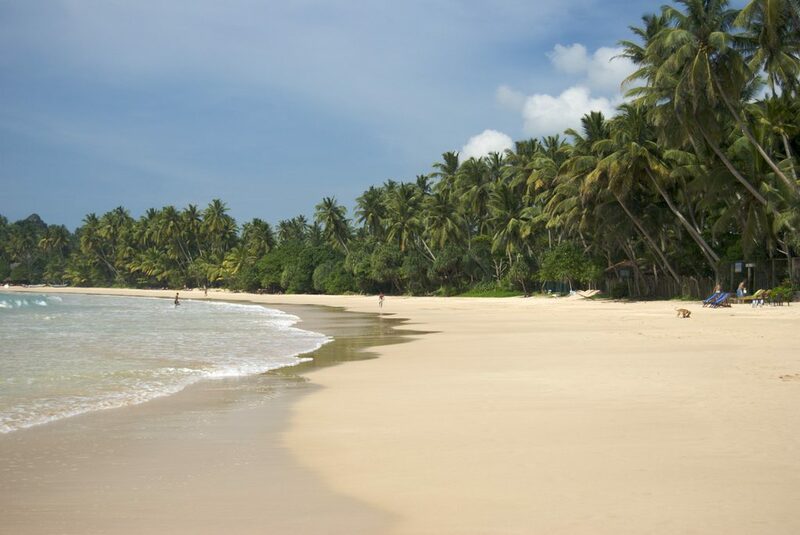 P: A number of people have said to us that we should not spend any time in Colombo – what are your thoughts? I was lucky enough to spend three days there on business (Thank you Push PR!) and loved it, but I’m now thinking that I may have been treated to a different experience there as opposed to the traditional traveller. J: I’m with you Pippa – I found Colombo fascinating. I have a mantra that I try and keep to whenever I travel: ‘You haven’t fully experienced somewhere until you’ve visited its capital’. I’ve ended up in some interesting places in my attempts to keep to this, but that rule doesn’t suit everyone! Colombo is busy, that’s for sure. If you’re not a city buff then it might be a bit too much for some, but you seem to be in to your culture – it’s packed full of that. I was surprised by the abundance of street art; for me this was a fascinating insight into urban life in Sri Lanka and a nice addition to my trip away from the usual tourist routes. P: Where should we head to first see in 2019? Is Galle as quiet as we have been told? We want to celebrate NYE in style! J: Galle is a classic UNESCO site with bags of character and I wouldn’t describe it as quiet but if you’re looking for nightlife then I would say to head to the southern coast and enjoy the beach bars. There are so many amazing places, all with a laid back atmosphere and good international music – what better way to celebrate the New Year than dancing bare foot on the golden sands of Mirissa beach! However, wherever you turn in Sri Lanka, there’s vibrancy and a fantastic atmosphere. P: Whilst we are pretty limited for budget, our ideal is a mix of home-stays, beach huts and occasional nights in a hotel – do you have any favourite accommodation tips for us? I have always been one of those people (sorry to offend anyone here) who prefers to mix the accommodation up as opposed to solely staying in luxury hotels. The best insight and conversations that I have had are as a result of staying with a local! J: Haha, I understand that attitude – I mean horses for courses but I’m the same. 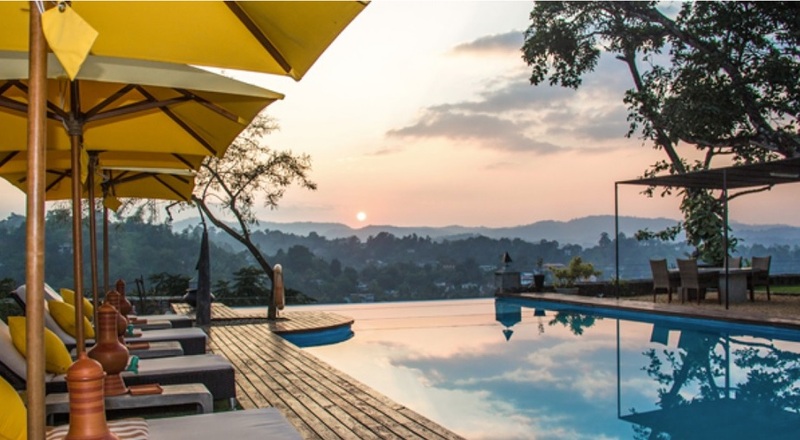 Something you might find happily surprising is the excellent value of accommodation in Sri Lanka and your money goes a lot further than many nearby destinations! I’d say that it’s the perfect country for the mix you describe as it’s packed full of characterful, one-off, boutiques and homestays. Elephant Stables in Kandy is a personal favourite of mine. 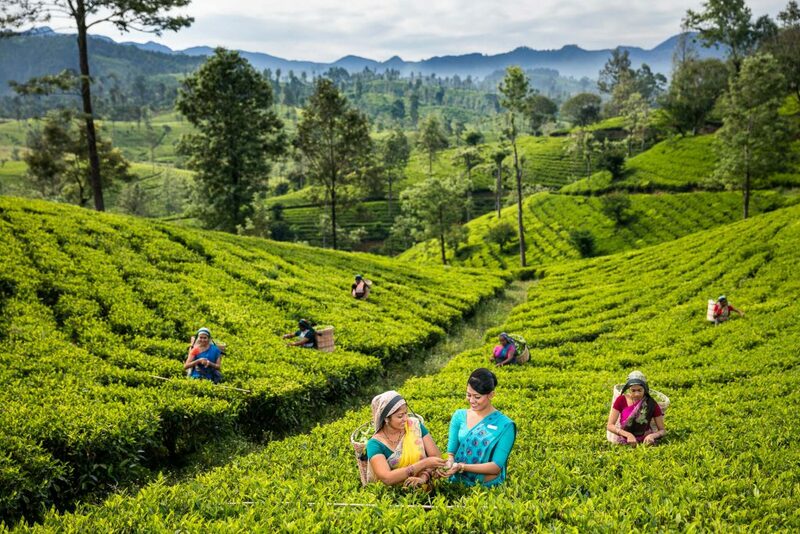 I’d recommend doing your homestay in the Nuwara Eliya area as this way you’ll get a fascinating first-hand insight into rural life in Sri Lanka! P: Will we have to pre-book all of our accommodation before arriving or can we leave a few nights to chance? I have always preferred to get local advice but is this risky at the beginning of January? J: As much as I love that travelling spirit, I would definitely recommend having it all booked beforehand. January is peak season and the style of accommodation we’re talking about tends to have limited rooms. You don’t want to miss out! P: I have always been deemed as a pretty reckless traveller, for instance, my friend and I jumped in to a random car in Mexico and hitched a lift to a local market, I met a guy in the airport queue in Denpasar, Bali, and decided that it was perfectly normal to tay in a room with a stranger for my first night alone. Therefore, I think that it is important to understand how safe Sri Lanka is and what is the normal custom? J: Firstly, wow. I thought I was bold but this is next level, what a fantastic story though! (The lawsuit that I would face it I recommended a client follows your lead doesn’t bear thinking about!). Jokes aside, Sri Lanka is a very safe place – but the usual precautions apply when travelling through a developing country – or anywhere for that matter! Keep your wits about you, be respectful of local customs and bar bad luck -you’ll be just fine. P: Someone recently mentioned that Sri Lankan food is spicier than Indian? Is this true? For someone adverse to anything hotter than a korma, will I have to live off egg hoppers? J: We are going to have to work on that Pippa…in terms of Indian vs Sri Lankan spice – that’s a tough one to judge! I’ve had my head near blown off by Indian food in the past, and love a bit of spice, so perhaps I’m biased. Sri Lankan food is absolutely delicious, so it would be a shame to miss out – given it’s almost always cooked fresh to order. My tip would be to ask the chef to tone it down a tad for you. To be fair though, I can think of worse fates than living off egg hoppers – delicious. P: And finally, should we expect people to speak a little bit of English or do we need to swot up? J: I’m a big believer in learning a few key phrases before going anywhere; it’s just polite and people generally really appreciate the effort. Don’t be afraid to make mistakes (one time, I tried to say I was full in French and apparently sounded to the waitress that I was pregnant). Generally though people speak English very well in Sri Lanka, so you won’t have an issue at all. For all press and media enquiries email Pippa Roberts on pippa@pushpr.co.uk.